3 episode in and you have more information from the overall summery then you do the shows episodes. It feels like someone took a single episode and cut it into parts. The cuts are sudden and jaring. This is the type of short that give all other shorts a bad name. 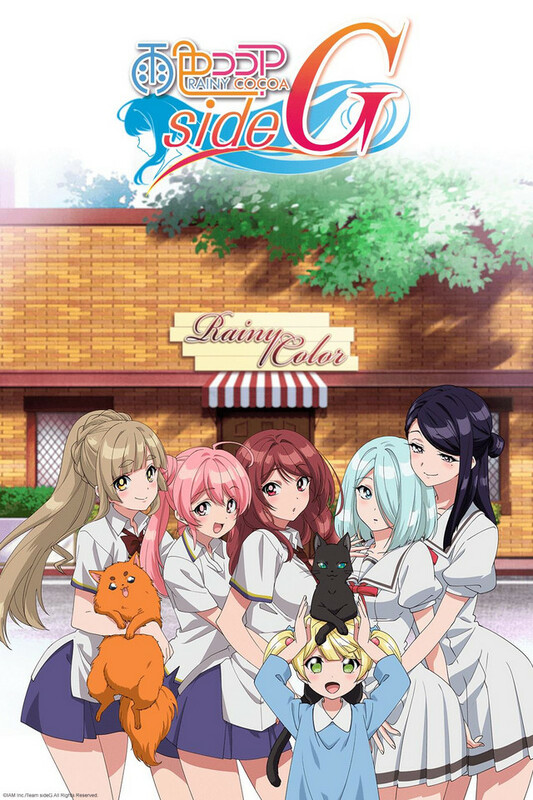 This could of been a simple moe about teenage girls running a cafe but the format ruins anything it could of had going for it. This isn't a short anime. It's an anime that they've cut up into short pieces for some reason. Who can watch an anime where they basically end every episode at the end of a sentence? (This is two episodes now). Not me. I want to know what it's about, but not through the lazy storytelling hack-job that this is. Just way to short just look at the first episode not even enough time to even have a story or anything is this is how the whole season is gonna be I really doubt this show will bring anything exciting to this season of anime shows well we always do need a show at the bottom so that is a plus for this show. i would advise people to wait to watch this till there are at least 10 installments. They are 2 mins each much to short to enjoy the flow of the show on its own. Shorts like this can be really good and done well the issue is because they are so short it may be tough remembering last weeks installment. The art seems ok, i only saw the first installment. now i am waiting for a few more weeks then come back to it. my 4 star ratting is based on what i have seen which is not much.